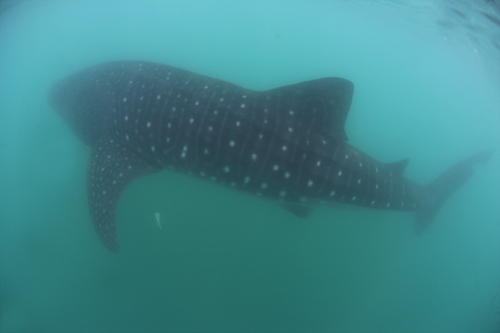 The monitoring team found One whale shark today. The people enjoyed swim with whale shark very much. The weather is cloudy with light rainy.